• A Nutritionally Complete Powder That Is Reconstituted With Water For Feeding Orphaned Or Early Weaned Foals. • Nutritionally Complete For Growth. Highly Palatable. Instantized All-Milk Protein. • Foal-Lac Simulates The Nutritional Composition Of Mares Milk. Instantized and Easy To Mix. • Can Be Bucket Or Bottle Fed. • Joint Therapy For Horses Only. • Feed One Or Two Cookies Daily Or As Recommended By Your Veterinarian. • This Is A Nutritional Supplement and Is Not To Be Mistaken For A Treat. • Equine Skin and Coat Supplement. Palatable, High Protein Powder Makes It Easy To Incorporate Into Feed. • Results Include Healthier and Shinier Coat, Skin and Hair. • Concentrated Essential Fatty Acids. Vitamins A B6, E, Biotin and Zinc. • Equine Milk Supplement. Provides Extra Nutrition For Foals At Weaning and Foals Raised On The Mare Or Foal-Lac Powder. • Aids In Transition From Milk To Grain Ration. • Highly Palatable Milk Based Formula. Balanced Calcium: Phosphorus Ratio. • Easily Mixed Into Foals Ration. 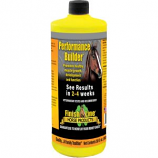 Targeted formula is designed for senior horses in light or no work. Contains vitamins minerals and antioxidants. 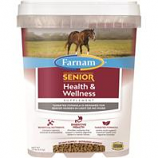 Provides nutrients that support a healthy digestive system in senior horses. Amino acid support intestinal healthy and digestive function. .
• Made Of A Delicious Formulation That Horses and Ponies Will Love. Promotes healthy muscle growth development and function. 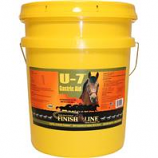 See results in 2-4 weeks. . . .
• U-7 Gastric Aid Is A Revolutionary Dietary Supplement For Ulcers and Colic. Not A Drug and Not An Antacid. • Recommended To Help Support A Healthy Stomach. • For First 30 Days Give 1 Scoop Twice A Day. • First In The Morning Second In The Evening) After 30 Days Give 1/2 Scoop In Morning and 1/2 Scoop In The Evening. • Apple-A-Day Electrolytes Are Formulated To Replenish Lost Minerals As Well As Prevent Dehydration. • Water Intake and The Appetite Of Your Horse Will Also Increase. • Feed One Ounce Daily. 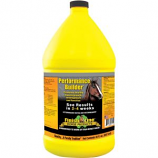 • Iron Power Provides A High Level Of Iron and B-Complex Vitamins Without Making Horses Nervous. • Red Blood Cell Counts Increase, Which Supplies Your Horse With More Energy and More Stamina. • An Easy To Feed Liquid With Appetite Stimulants, Facilitates Liver Function and Aids In The Prevention Of Iron Deficiency. • It Is A Palatable Formula That Helps Horses Suffering From Poor Appetite, Poor Attitude, Poor Performance Or Weight Loss. • U-7 Is More Effective and Affordable Than Antacids Or Drugs and Provides Longer Lasting Benefits In Only 30 Days. • Ultra Fire Multi-Vitamin Is More Potent and More Affordable and Helps To Bolster The Energy and Stamina Of Your Horse. • Horses In Stressful Situations Often Need Supplementation With High Potency Vitamin B Products. • Feed Just 1/2 Ounce Daily. • Supports 7 Functions In The Horse: Joints, Feet, Coat, Gastric System, Blood Counts, Pulmonary Hemorrhage, and Rehydration. • Feed 2 Scoops Daily For Broad Spectrum Support. Once In The Am and Once In The Pm For A 1000 Pound Horse. • Reduce Dependence On Drugs and Multiple Supplements. • Balanced For Safe and Easy Feeding. • Supports 6 Functions In The Horse: Joints, Feet, Coat, Gastric System, Blood Counts and Rehydration.